“The museum is an unfinished total artwork. We’re continuing the process”. Marc Quinn, 2017. “Marc Quinn: Drawn from Life is an exhibition of twelve new sculptures by the leading British artist, Marc Quinn (b. 1964). It is the first time this new body of work – entitled All About Love – has been exhibited anywhere in the world. 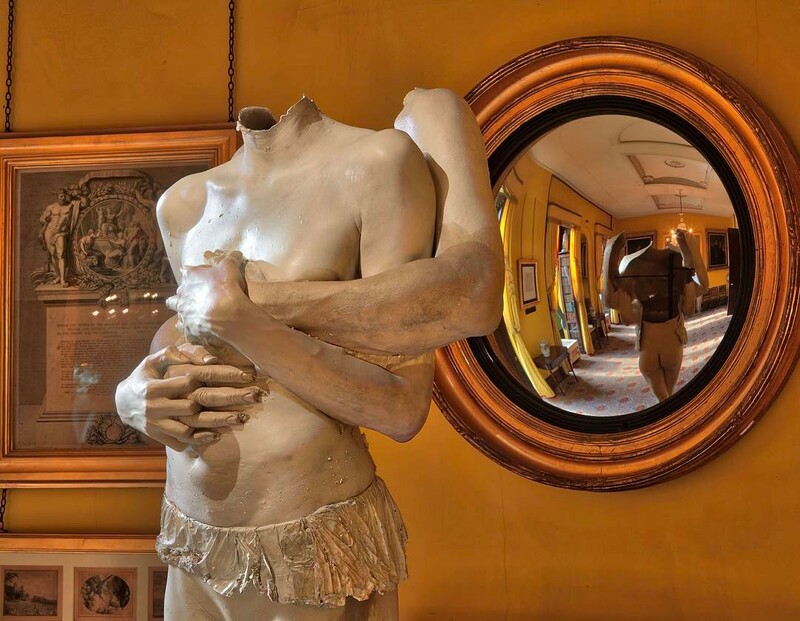 Quinn has long been inspired by Sir John Soane’s Museum and, like Soane, is a collector. He surrounds himself in his studio with objects, ephemera, artworks and antiquities. These new works have emerged from Quinn’s interests in the idea of the fragment – a subject that has huge resonance with the Museum. Each of the twelve sculptures is created from casts of Quinn and his partner, the dancer Jenny Bastet, in a series of embraces. Their interlinked arms appear to be fighting, loving, holding or supporting – or even all at once – reflecting Quinn’s recurring fascination with the physical ambiguities of human emotion. Text from the Sir John Soane’s Museum website. The exhibition runs from March 28 to Sept.23, 2017. For more informations, please visit the Sir John Soane’s Museum website. Image credit : Marc Quinn, Instagram : @marcquinnart.